There are many SOLIDWORKS Beta rollout events throughout the world each year. Beta rollout events gives local companies and particular users an opportunity to preview SOLIDWORKS functionality for the upcoming release. They are able to test drive the new SOLIDWORKS release with their own SOLIDWORKS files from their projects. The rollout events allow them to help us find bugs and to preview functionality so they can get a heads up on what to expect in the next release. These also give customers a chance to directly interact with SOLIDWORKS team members from Development, Product Definition and User Experience. Japan, China, Germany, Brazil, US, Mexico, etc all host events during the summer leading up to the official product release in September. This year, I attended the Beta rollout event in Osaka, Japan and Shanghai, China. 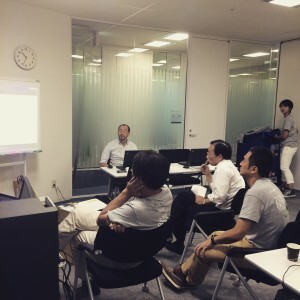 The SOLIDWORKS 2016 Beta rollout in Osaka was a great two day event. We met with several large customers and user influencers. Rob Jost of the Product Definition team did most of the presentation, going into detail about what’s new in SOLIDWORKS 2016. I presented on the topics drawings, MBD, eDrawings and a couple of other areas. 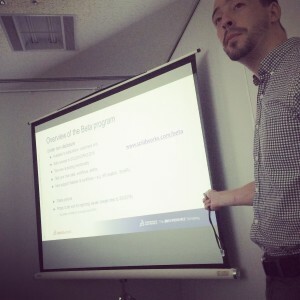 After the What’s New presentation, the SOLIDWORKS Japan team conducted a technical session to talk about the functionality. Our customers had a lot of good comments about what they had seen so far. 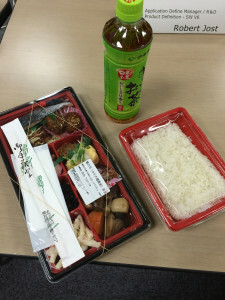 I love rice and many Japanese dishes. Each day, lunch was a treat! On day one, the SOLIDWORKS team had a great opportunity to talk with our customers all day, and answer their questions, not just about new functionality, but also about existing tools too. On the second day of the SOLIDWORKS Beta rollout, our customers were able to try the new functionality on their own in our lab. There were a lot of great discussions. Rob and I gave impromptu presentations about What’s New again for customers who were not able to attend day one of the event. At the end of the second day, we wrapped up by gathering everyone for a final discussion. Customers talked about what they liked about SOLIDWORKS 2016, and in some cases, what they felt needed further improvement. For me, and I hope everyone else, this was a great event! 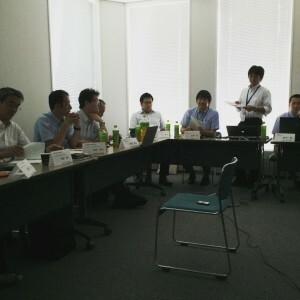 Many thanks to our SOLIDWORKS Japan team for hosting this event and making it a success! If you are interested, this event was covered real-time on Instagram. Check out current SOLIDWORKS related postings by following the official Instagram account. You’ll see more of my photos from this event, plus many more by the new Community Manager, Rachel York.